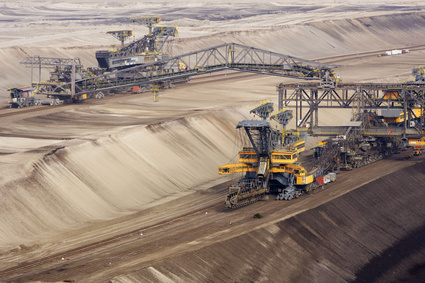 Lignite and hard coal is still Germany's most important energy source for power generation. Yet, Germany's climate policy goals can only be achieved if coal-firing decreases and is phased out completely in the long-term. To date, the "when and how" of this coal exit remains unclear. As a basis for the decision-making processes in the next legislative period, Ecologic Institute is working together with the German Institute for Economic Research (DIW) and the Wuppertal Institute (WI) to develop a reader that clearly summarises the scientific facts and controversies surrounding the coal exit. The reader addresses the following questions: What contribution must the energy industry deliver for Germany to achieve its climate mitigation targets? What is technically and economically feasible? Which economic, environmental and social effects are to be expected and how can we deal with them? Ecologic Institute takes the lead in the analysis of policy instruments that could be used to decrease coal-firing. The aim of the analysis is to provide a comprehensive and systematic presentation of the available policy instruments and to assess their effectiveness. In addition, Ecologic Institute is responsible for the reader’s design. In November 2016, the Federal Government adopted concrete sector targets for the reduction of greenhouse gas emissions by the year 2030 within its Climate Action Plan 2050. For energy industry target is to roughly half emissions to 183 Mt. CO2 equivalents by 2030 compared to 2014. However, greenhouse gas emissions are more or less stable for eight years now. This also applies to the electricity sector, as coal-fired electricity remains at a consistently high level, despite the increasing share of renewable energies. In order to achieve the emission targets of the Federal Government, a substantial reduction in coal-fired power generation is necessary. To kick-start the process, the Climate Action Plan 2015 foresees a Commission on "Growth, Structural Change and Regional Development" which is due to present its results at the end of 2018.